We offer secluded broken bow cabins minutes from Broken Bow Lake and Beavers Bend State Park, Oklahoma. You will find a special touch to our cabins, as we own, manage, and personally clean them. A private stocked fishing pond and mountain top views are some of the great features of our rentals. 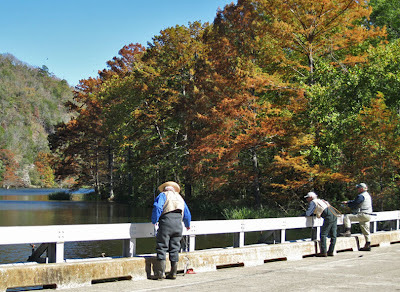 We often receive questions about places to fish in Beavers Bend State Park. 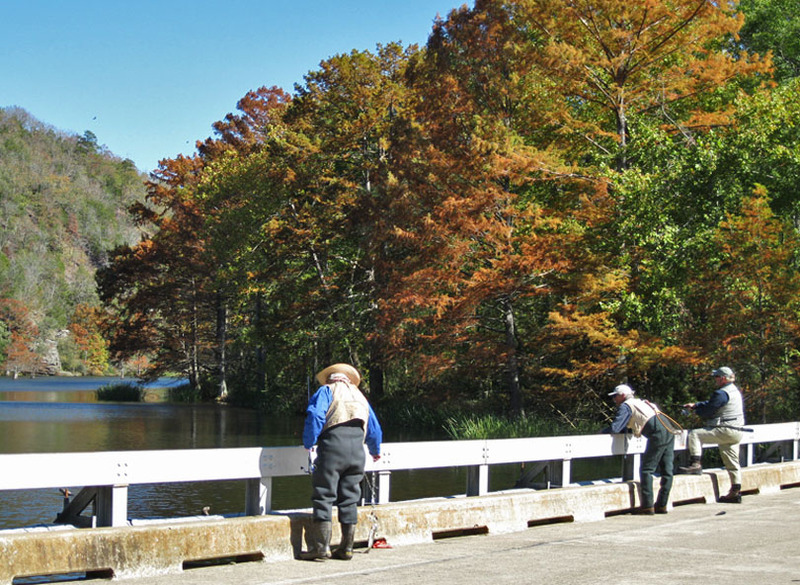 The park has several easy access bridges and river front areas allowing visitors to cast into the crystal clear Lower Mountain Fork River. Rainbow trout are stocked regularly, almost guaranteeing fisherman and women will not be disappointed. Just remember, you must first have the necessary fishing license from the state of Oklahoma. You may purchase fishing license online via Oklahoma Department of Wildlife Conservation website. Beavers Bend Log Cabins offers secluded Broken Bow Cabins with private stocked fishing pond and mountain top views just minutes from Broken Bow Lake and Beavers Bend State Park, Oklahoma. Great new place to eat. ©2013 Beavers Bend Log Cabins. Ethereal theme. Theme images by andynwt. Powered by Blogger.